Friday Finds ~ a great pair of on trend polka dot pants! I talked about these in Monday's post so now I'm connecting the dots :) If you're bold enough to wear polka dot pants (and yes I am) you can keep the rest of your outfit simple as I've done here. You can definitely Get Your Bargain On with this outfit. Pants, sweater, shoes, watch, bracelet, gold bracelet vintage, similar here. Feeling a little bolder? 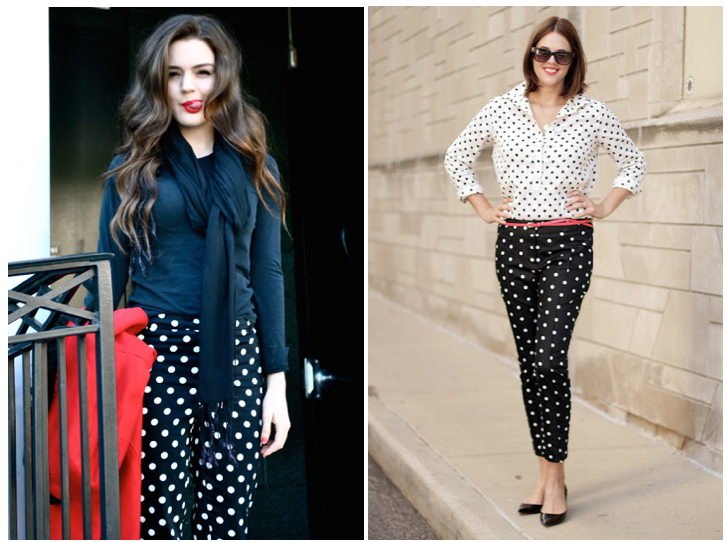 Check out how some of my favorite fashion bloggers style their polka dots.